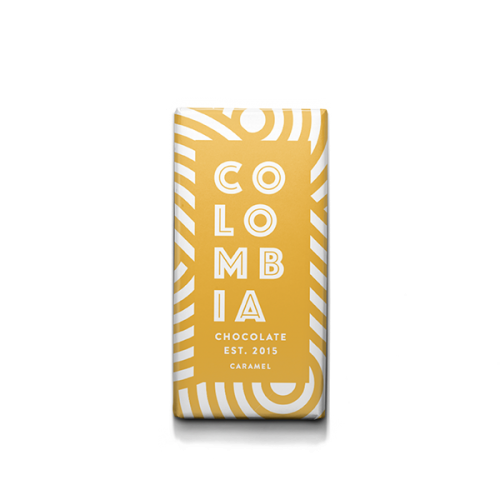 Not only does this Colombia Chocolate packaging look great. If you buy it you can help fund education as well. Let’s check it out. In many parts of the world, education is not what we all think it should be. Either there is none at all or not enough. One part where there often isn’t enough is in Latin America, that is especially true for children under the poverty line. There is education that is free for a few years but not where they can seek higher education. So, in reality, they are stuck in poverty. 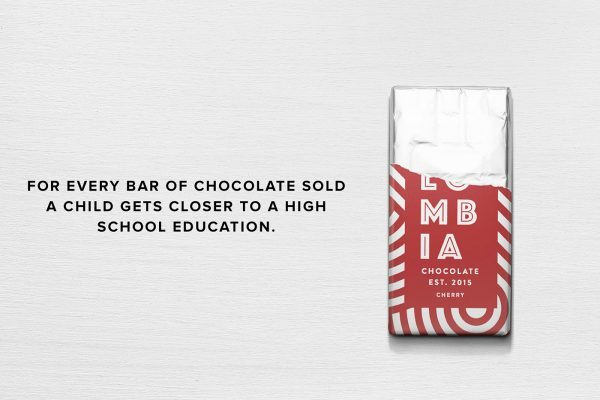 This is where Colombia Chocolate comes in, they want to use chocolate as a way of supporting education. 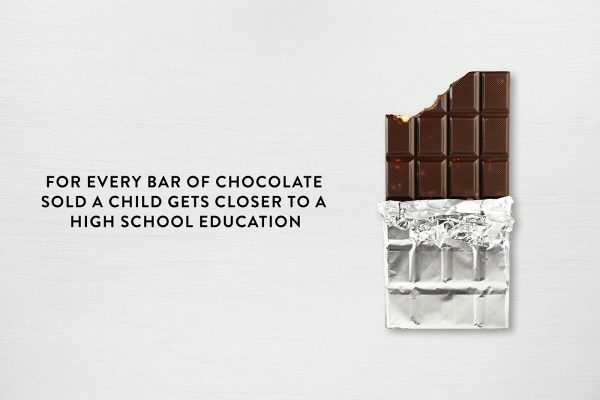 For every bar of chocolate sold a majority of the proceeds goes to paying children’s school tuition fees. They do so by donating their share to Worldfund which is a charity dedicated to improving education in Latin America. I have to admit that I know more or less nothing about the education level or system in Latin America. But I try to think that anyone who wants to support something that needs help and does something about it deserves support. Now let’s check out the packaging. 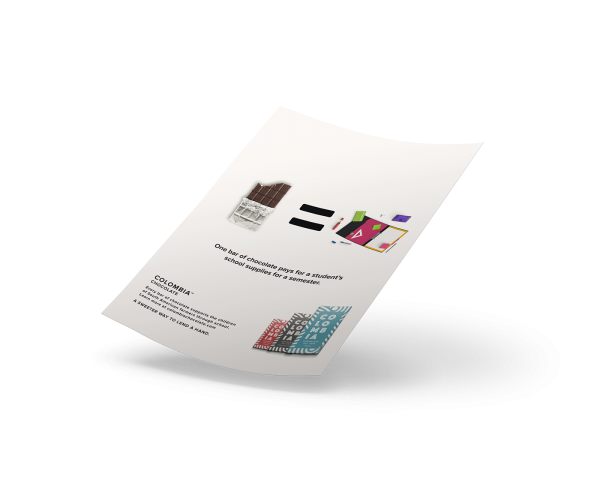 It’s simple, standard foil wrapping around the chocolate with a white paper around it. A rectangle on the front with the logo and a Latin-inspired pattern around the edges. The same pattern and design are used for the varieties of the chocolate and I think it works great. I also like that the design, colors and packaging material is the standard type. Keep it simple, when you buy something for charity I don’t really like when it feels too luxurious. Then you keep thinking about how much more money could have gone to the charity which is now wasted on beautiful design. Great work. You can read more about the design at Sick! 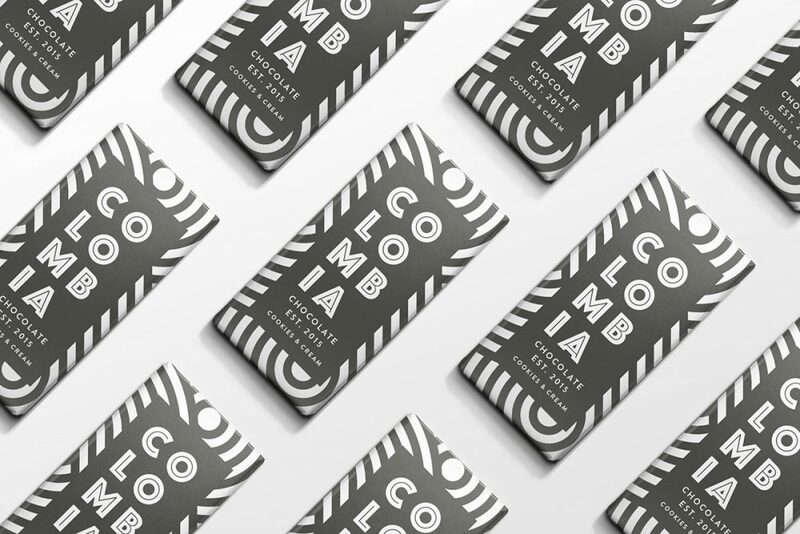 Design Co. For more great chocolate packaging check out my full coverage here.